Almost every omnivore in the U.S. goes wild for chicken wings. Juicy meat, glistening skin that can be roasted, grilled or fried...what's not to love? Yet very few of us seem to feel the same about chicken thighs or chicken legs. Last July, when every store in my Brooklyn neighbordhood was out of chicken wings, I had no trouble finding abundant supplies of fresh, organic chicken legs for less than $2 a pound. A recent article in Slate about the U.S. needing new markets for exporting dark chicken meat made me ponder (again) why we are a nation of wings and chicken breast lovers who toss or export the rest of the bird. You can't find more polar opposites, as far as chicken parts go, than wings and chicken breast. One is all skin and rich dark meat that oozes flavor, the other is lean and frankly, rather bland on its own. While I like chicken breast in chicken noodle soup and somestir-fries, it's rather boring compared with dark meat and shines only when paired with tastier ingredients. You can't just rub a skinless chicken breast with olive oil and pepper and salt, stick it in the oven, and call it good. I guess wings get a free pass because it's bar food, party food, or summer cook-out food, often eaten while chatting with friends or watching a game on TV. But for entrees, subject to more scrutiny, we seem to steer overwhelmingly toward chicken breast. Is it health concerns? Skinless dark meat has only a smidgen more calories and fat than chicken breast. Is it ease of preparation? Many stores sell skinless and boneless dark meat, and you can stir-fry or braise it with ease. And maybe it's just because I live in New York, but chicken breast also seems to cost about three times as much as chicken legs or thighs. Chicken breast can be great in a number of things (heck, I have a good handful of recipes on this site that call for it). But I'll make it my mission today to be a cheerleader for dark meat. Please, have it for dinner some time this week! Your taste buds, wallet, and eventually the American poultry industry (including the small producers), will thank you. One dish you can make, a very easy stir-fry that I also recently tried, is the Chinese Burmese Chili Chicken from Grace Young's Stir-Frying to the Sky's Edge. 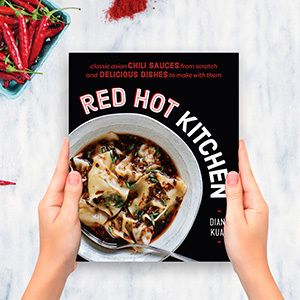 It's a great cookbook focusing on stir-frying techniques that's easy enough for beginners and in-depth enough to keep more experienced cooks entralled. 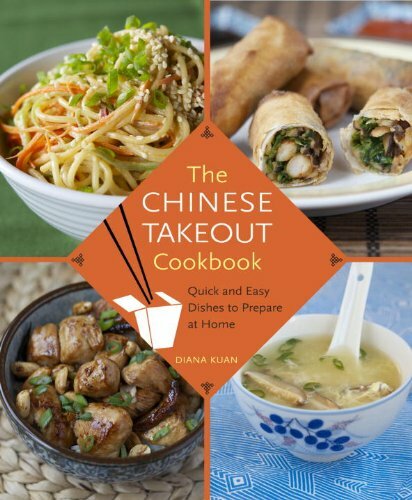 What drew me most to the book is that Grace includes cross-cultural recipes such as Chinese Trinidadian Stir-fried Shrimp with Rum and Peruvian lomo saltado, which show how stir-frying has infiltrated every country that has become home to a large number of Chinese immigrants. Although the recipe can be made with both boneless chicken thigh or breast, using dark meat produces a noticeably juicier finished dish. I love the use of cumin, paprika, and chili, which add a smoky dimension that reminds me of a combination of Xinjiang and Hunan cooking. (I substituted a jalapeño pepper for Anaheim chili because it was easier to find, which also increased the spiciness.) And zucchini! The zucchini soaks up the sauce like a sponge and becomes as tender and flavorful as the chicken. If any dish will convince you of how well dark meat works in stir-fries, this will. Marinate the chicken: in a medium bowl, mix together 1 tablespoon of the oil, 1 teaspoon of the cornstarch, 1/2 teaspoon of the salt, and the pepper. Add the chicken and coat well with the marinade mixture. Let stand while you prepare the other ingredients. In a small bowl mix the remaining 1/2 teaspoon of cornstarch with 1/3 cup of cold water until the cornstarch is dissolved. In another small bowl combine the paprika, cumin, and cayenne pepper. Heat a wok over high heat and swirl in the 1 tablespoon of cooking oil. Add the onions and stir-fry for 1 minute, until the edges of the onions begin to crisp. Push the onions to the sides of the wok and add the chicken, spreading it evenly in one layer. Allow the chicken to sear undisturbed for 1 minute. Stir-fry for another minute, until the outsides have turned white. Add the ginger, garlic, and paprika mixture and stir-fry for 30 seconds, or until the aromatics are fragrant and the chicken is well-coated with the spices. Add the bell peppers, zucchini, and chilis. Drizzle in the fish sauce and the 1/4 teaspoon of salt for the sauce. Restir the cornstarch mixture and pour it into the wok, stirring until everything is well-coated. Stir-fry for another minute, until the chicken is cooked through. Transfer to a plate and serve. Adapted from Stir-Frying to the Sky's Edge by Grace Young.